Available to pediatricians in Illinois, Iowa, Kansas, Missouri, Nebraska and Illinois. 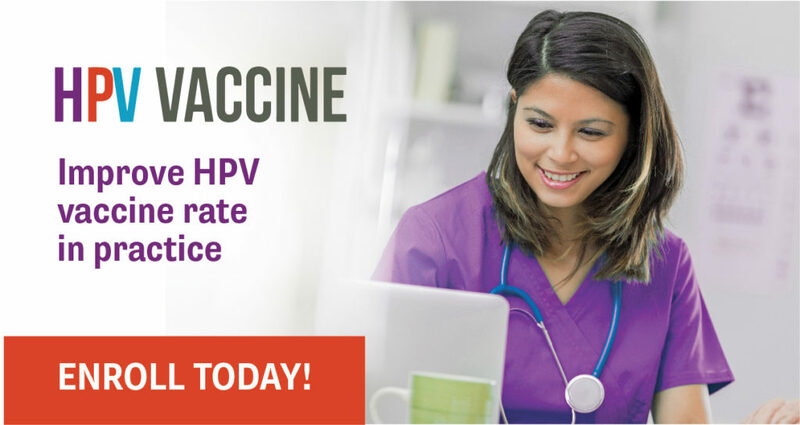 Join your pediatric colleagues in a virtual learning collaborative to increase HPV vaccination rates in your practice now! Individuals will earn 25 MOC Part IV and 5 CME credits in 2019, free of charge. Project activities run from April 2019-September 2019. Click the button below to learn more about the course expectations, timelines, and learning objectives! Sign up by April 12th.